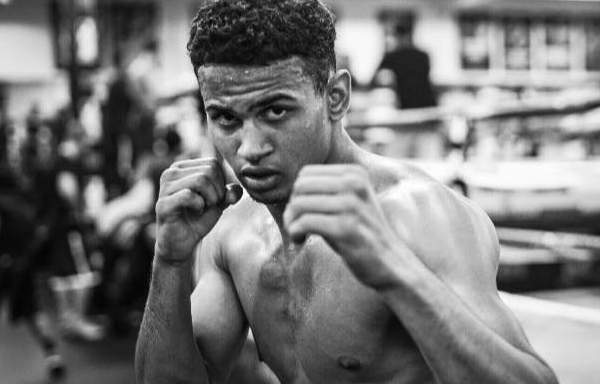 Prior to his most recent start this past March, Rolando Romero saw his name floated for a suggested showdown with fellow unbeaten lightweight prospect Ryan Garcia. The suggestion came from Romero’s promoter, boxing all-time great Floyd Mayweather who was trying to drive home the point that Garcia needed to earn his way to a fight with his star protégé, unbeaten 130-pound titlist Gervonta Davis. It even came with the promise of a $200,000 bonus had Garcia won, along with a future crack at his undefeated titlist. Few in the industry ever expected anything beyond words to come of the incident, which has remained the case. However, it was a conversation to which the initially offered bait was never initially privy, nor does he particularly care for his current progress and that of Garcia remaining intertwined. The teased contest came a few weeks before Romero’s 1st round knockout win over Nicolas Atillo Velazquez this past March at the very same venue as his next contest. It can be argued that Mayweather simply seized the opportunity to raise awareness about Romero, a 23-year old knockout artist from Las Vegas whose all-action style warrants attention. Whatever the case, the young prospect didn’t take offense to it, even if it was the one time in his career he was ever caught off-guard. To date, he’s proven a handful for every opponent put in front of him in his young career. Romero has been extended beyond the second round just twice in eight fights, having yet to lose a round despite continuing to earn as he learns. His fan-friendly style will certainly catch the attention of any TV network executive, although impressing the Fox Sports crew isn’t something particularly on his list of priorities—simply because it’s already become second-nature. “Fighting on undercards like this, I don’t think of them as an audition (to get on TV); to me, it’s fun,” insists Romero. “I was never supposed to be here in the first place. I don’t have an amateur career, but I’ve already become (one of) the most relevant (prospects) in a short amount of time, just because of how I fight in the ring.